Lathes and Routers. It runs with a dedicated PC via Ethernet. 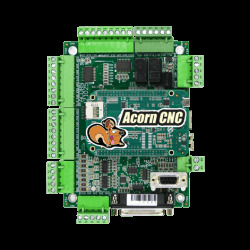 The CNC12 software on the PC is designed to the Acorn controller by Centroid. The software has full support for touch screen PC. This eliminates the need for keyboard and mouse by the machine. 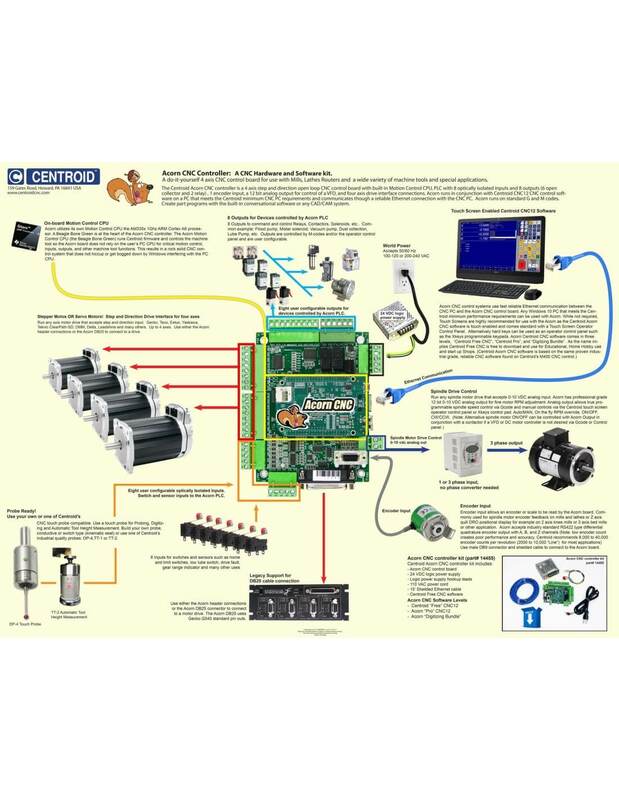 Centroid is well known in the professional segment for their CNC controllers. The Acorn is their DIY version. It is running the same desktop software as the Pro models but supports the more commonly used driver controls with STEP/DIR signals. All the stepper drivers on in our shop will work with this controller. The controller comes with the Free version of their software (so no need for 3rd party software). This is restricted to 50kb G-code files. Upgrade to Pro and Digitizing Bundle can be enabled later by buying a license. Information on software installation and PC requirements found here. 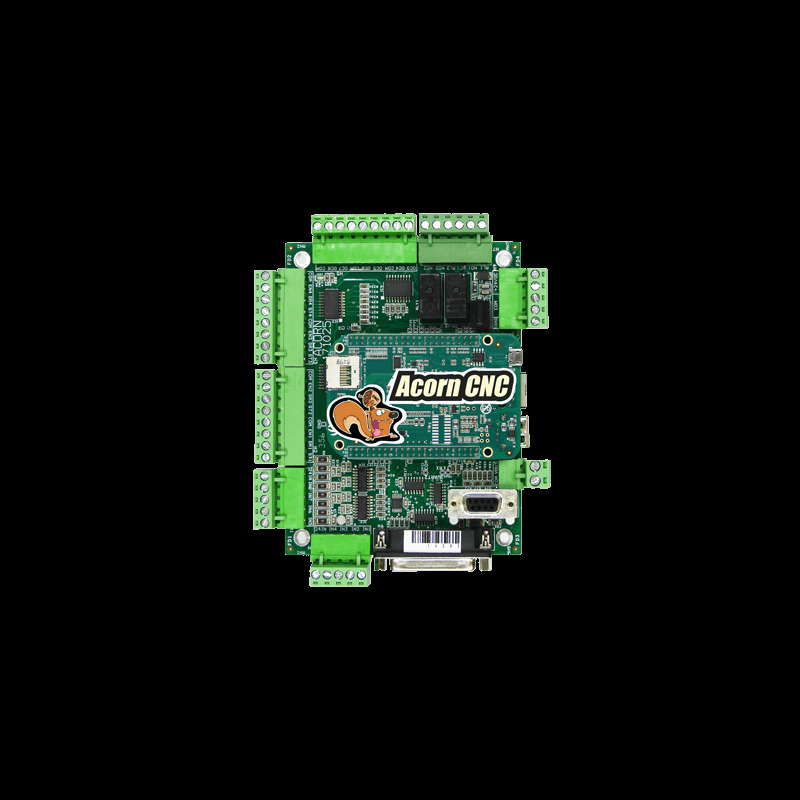 Plug and Play Relay Outputs with the Acorn CNC Relay Board kit. 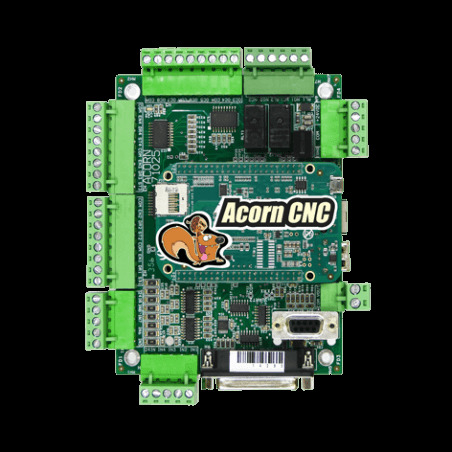 This kit will convert Acorn’s six open collector outputs into Relay Outputs in under a minute. 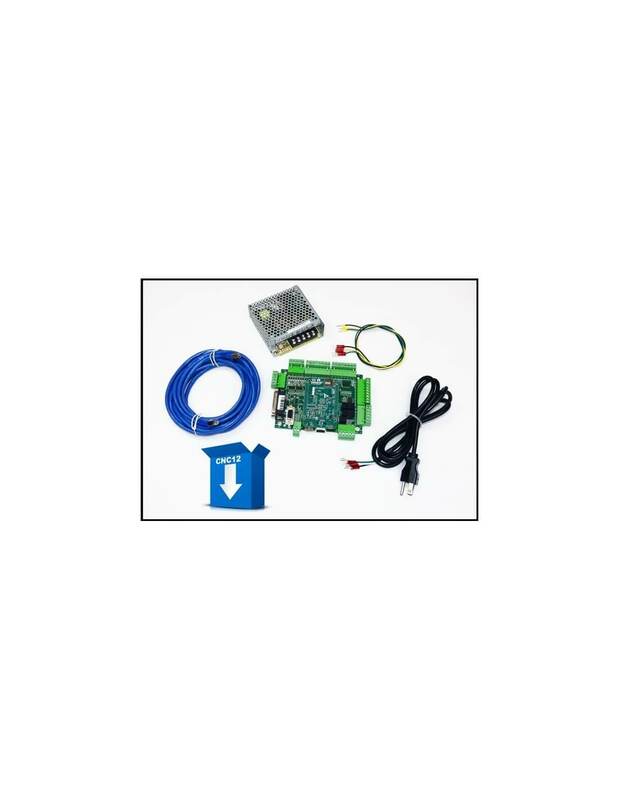 The kit uses an off the shelf SainSmart “8 Relay Module” combined with Centroid’s Relay Module Adapter Card and a ribbon cable for easy installation. The adapter card simply inserts into the Acorn Output Connector header screw terminals. Powered by 5 Volts DC the Adapter card comes with a pre-installed 5 VDC pig tail which connects to the 5 VDC terminal on the Acorn Logic Power supply. This allows CNC controlled connections to various CNC devices such as VFD’s, solenoids, lights, fans, pumps, motors, other larger relays and contactors in a compact format. The 8 relay module contains eight SPDT (Single Pole Double Throw) high current relays (10 AMPS at 250 VAC,and 10 amps at 30 VDC) which can directly control any device rated at or below the maximum rating of the relays. If higher current devices are required these relays can then in turn control larger relays or contactors to control the higher current device. Included with all Acorn kit orders. More information here. This Relay Adapter kit is also available for sale separately, see below. Reference Tool, Tools 1-10 Unlimited auto measure on all tools.